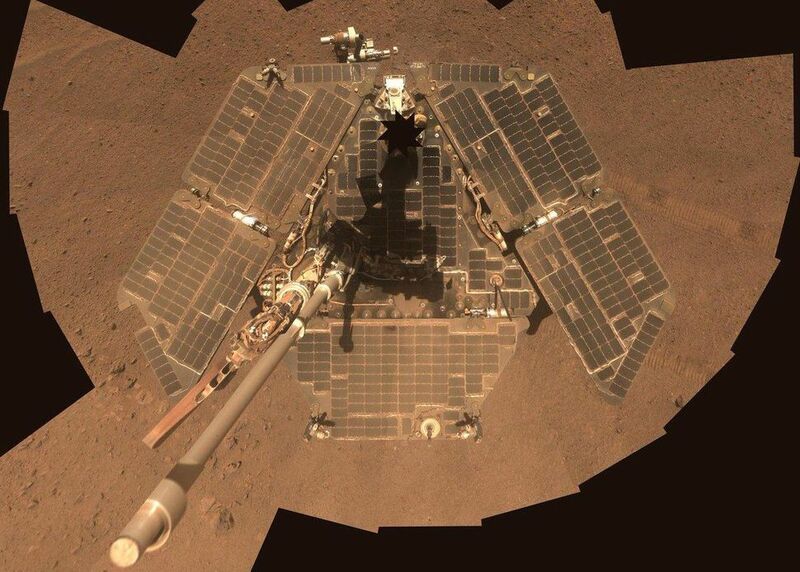 Opportunity snapped this selfie in 2014 after winds cleaned dust off its solar panels. NASA’s solar-powered Opportunity rover has had a rough year. The machine went silent in June when a global dust storm engulfed the planet and cut off its access to sunlight. The good news is the storm has finally cleared completely. The bad news is the rover is still silent. NASA posted a mission update covering late October into early November, noting the rover site is now storm free. The space agency measures the atmospheric opacity, known as “tau,” to determine how much dust is swirling around in the Martian sky. It’s at a level of 0.8, down from 10.8 on June 10, when NASA last heard from the rover. NASA uses its Mars Reconnaissance Orbiter to monitor the atmosphere from above.